R&S first opened it’s doors in 1964 with the goal of becoming the premier supplier of products specifically suited for the metal building industry. The company quickly gained a reputation as a top tier distributor offering a wide range of applications for both erectors and general contractors alike. In 2002, the company expanded operations by bringing manufacturing into the fold. This charter opened new doors for the company, allowing sales to expand from direct to wholesale through Metal Building Manufacturers and distributors. Management focused on 3 critical areas to continue growth: (1) optimal lead times, (2) high quality products and (3) competitive prices. 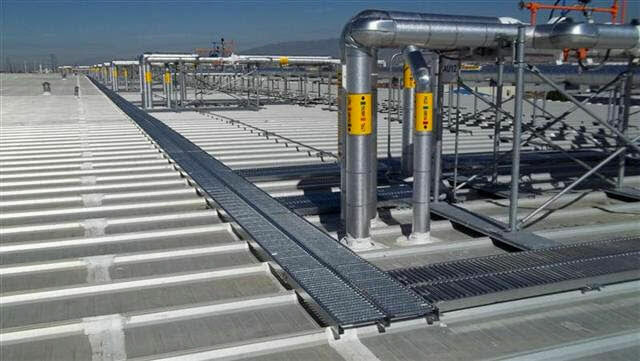 Since 2002 the company has expanded its manufacturing capabilities, now boasting among the widest array of rooftop building products in the metal building industry. The company continues to expand by developing new products to meet emerging building trends. R&S is constantly in pursuit of finding better, more efficient solutions to meet a ever-changing set of customer needs. R&S stands behind our products. We show this commitment through active participation in several certification programs including; Underwriter Laboratories (Smoke Ventilators), AAMA / NFRC / Miami Dade (daylighting products) and AMCA (louvers). Our estimating team consists of engineers trained to deliver products that meet your project requirements on time and on budget. R&S manufactures a vast array of products to fit your project needs. We aim to supply all of your metal building accessory needs, not just one product. Why go to multiple vendors when R&S can supply it all?